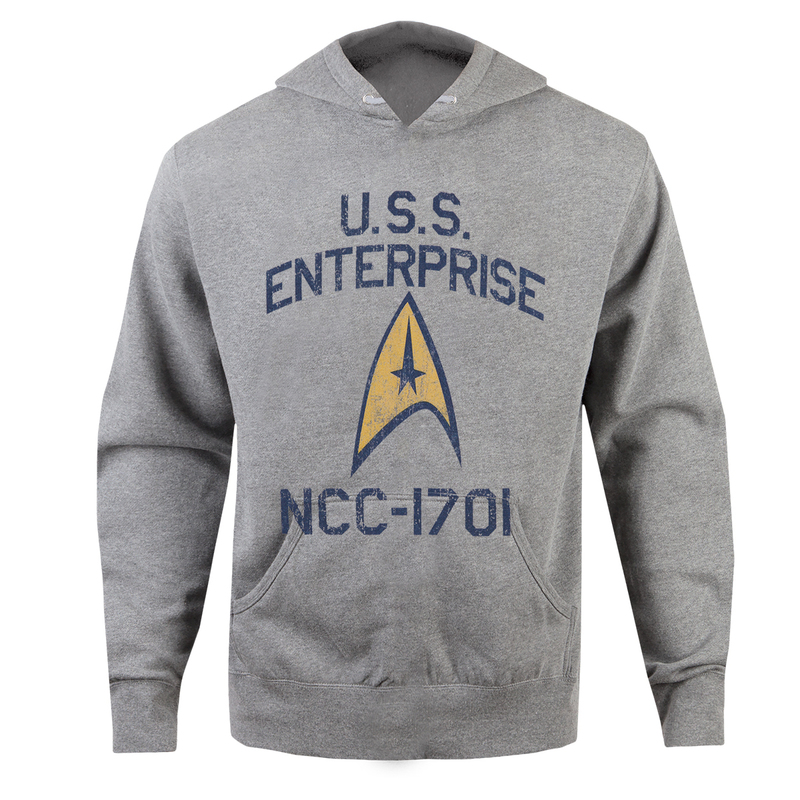 Show pride for your home away from home with the Star Trek USS Enterprise Hoodie. The soft light heather grey hoodie features the Starfleet emblem in the center with the ship’s true classification, U.S.S. Enterprise NCC-1701 on either side. With this in your style arsenal you’re sure to show you’re a serious fan. Excellent product. Feels dreadfully warm. Washes very well (cleaned up home made gravy). Looking forward to future purchases. A great design and a top quality product. I can't wait for cooler weather to show it off! Everyone should have one!! I LOVE LOVE LOVE my new hoodie!! Thank you so much for such a fine product! I went to the grocery store the other day and 2 different guys commented on my hoodie!! Live Long and Prosper! My son loves Star Trek. This was a birthday present for him. He also received Star Trek pajamas and Spock socks. He loves wearing them. They are very comfortable. The gifts arrived on time, too! Thanks! It was a Christmas gift for my daughter and she loves it! should make more products like this for all types of people is so comfortable but yet stylish for school to walk around the campus , after workout , soccer games (all types of sport) and look good with my favorite show theme. This was a Christmas gift and our son loves it! Everything about this hoodie is excellent! I ordered a XL and the hood feels a bit small. That's my only complaint.